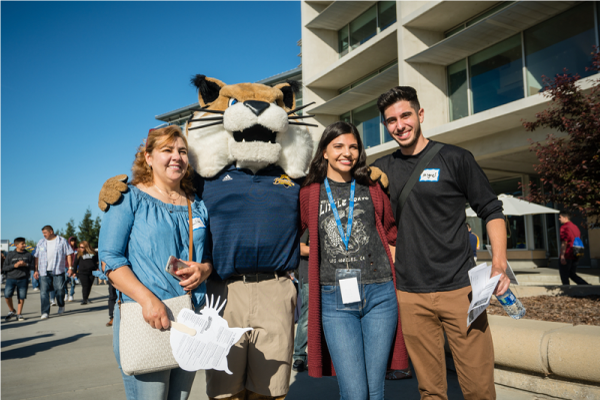 UC Merced is pleased to host Bobcat Day, a special day for first year students, transfer students and their families. This is our biggest event of the spring! 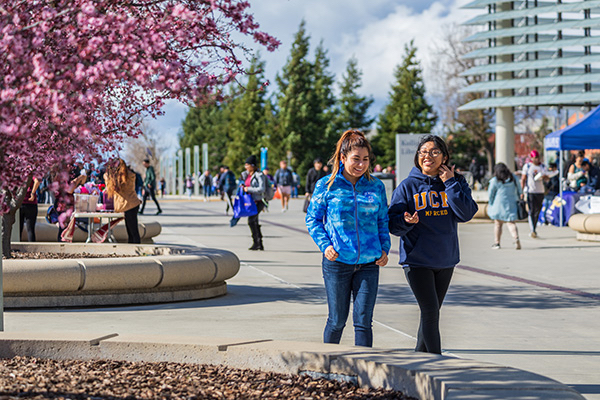 Come see UC Merced at its liveliest and take a tour of campus, meet with faculty, attend presentations from each of our academic schools, talk to Financial Aid and Admissions staff, discover student clubs and organizations, and much more. This is your chance to explore the university and learn about the academic and student life opportunities we offer. Presentation topics will cover financial aid, admissions, student life, and much more! Select the category below that best describes you. You will need your UCMNet ID and password to register for the event. Learn about our academic programs, housing and steps to admission. Booths will line the Carol Tomlinson-Keasey Quad, giving you the opportunity to talk with representatives from each academic school, various student services offices and student organizations. Tours of the campus, housing, laboratories and the library will be led by student tour guides. Several registered student organizations will provide entertainment from 10 a.m. to 2 p.m. Your UC Merced student ID. Your student ID will have been emailed to you. You don’t have to memorize it; you can show advisors the email confirmation you received when you registered for Bobcat Day on your phone, or bring a printout with you. Your financial aid award letter and completed Direct Costs worksheet. Watch the How to Complete the Direct Costs worksheet video for help completing the worksheet. Don’t have a paper financial aid award letter? No worries. 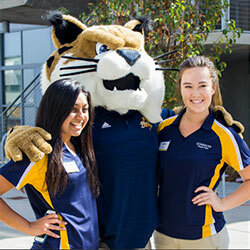 Use the UC Merced student portal to view the details of your financial aid package. We can still help you if the only paper document you have to bring with you is the completed Direct Costs worksheet. Please also be certain to review your financial aid checklist and complete requirements as soon as possible. Take care of your checklist items here! Be sure to wear comfortable shoes and bring sunscreen and maybe even a hat, since you will be spending a lot of time outdoors. We will have water refill stations around campus, so bring along a refillable bottle.